Hey guys, it’s your boy Nojical. 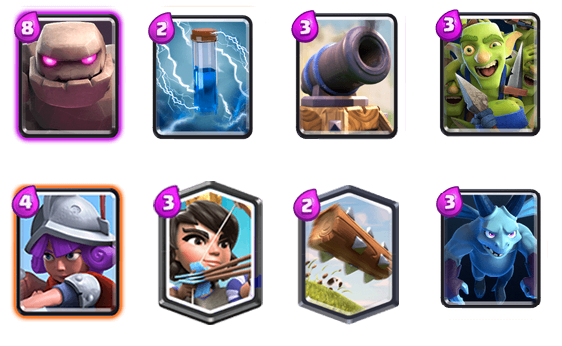 I created this guide as I hit 3800 while continuously being 1-2 levels lower than my opponent. During my journey, I noticed that different arenas have different meta so it is important to take advantage of this in order to advanced quickly. You will always reach a point where you cannot advance due to low level cards, so it is very important to maximize your gold. You can read more about maximizing gold here. I used this deck to advance from arena 1 to 4 in Clash Royale. I was fortunate to receive the witch card as it is a great combo with the giant and musketeer. It is almost impossible to counter since not many players have the inferno tower. The other way to stop this combo is for them to drop a tower for the giant and then a Valkyrie when your witch and musketeer crosses the river. If you do see that people are countering with the Valkyrie, I suggest to use the musketeer with minions. The best deck that will carry you through arena 5. Since most players will have low level zaps, it is unlikely that they can counter the goblin barrel. 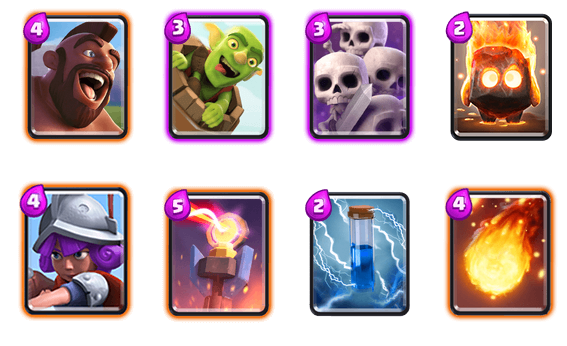 The trick is to use the skeleton army to bait arrows and then counter with hog and goblin barrel. Most players have low level zap and do not have the legendary log so it is likely that you will take their tower to half life on the first attack. Save the rest of the cards for defense and you should win easily. This deck can actually be used in arena 5 and 6. The combo is setting up the balloon behind the giant. The only counter to this combo is the inferno tower. You want to zap the inferno tower as it starts to attack the giant and try to quickly get the balloon to the towers. 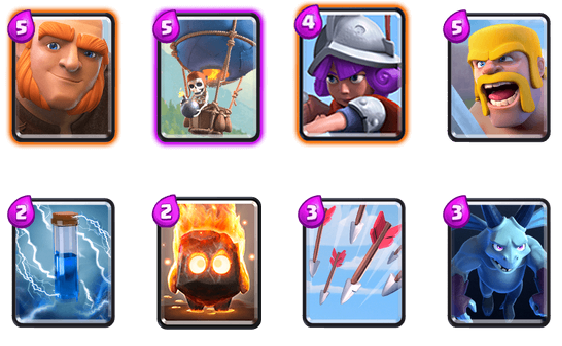 Fire spirits is a good card to use to fight off minion horde, as well as the arrow. Save the barbs for defense as they can pretty much kill any ground unit. Unlocking the elixir is a huge advantage coming into arena seven. 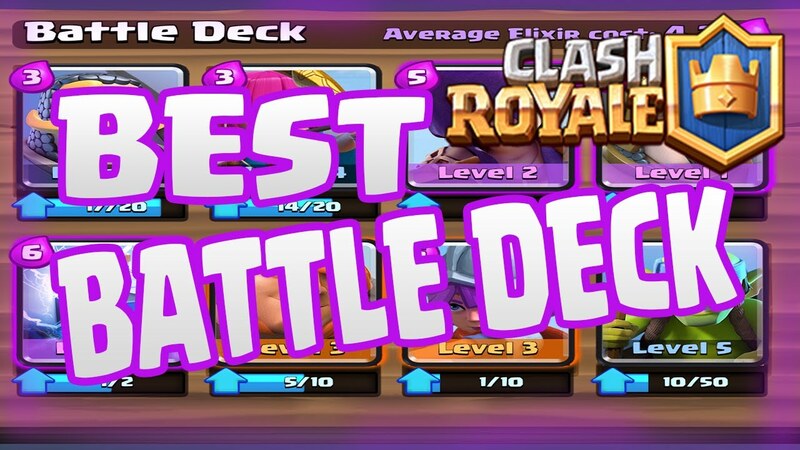 This deck is similar to the one in arena 6, but you will be able to rotate through cards faster. The combo is to send in the hog rider behind the the giant and slowly beat down the towers. 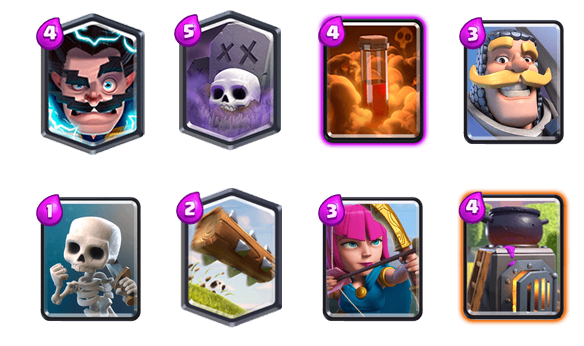 The weakness to this deck is the same inferno tower in arena 6, but with the help of zap and minions, it should be enough to kill it. TIP: Using zap after 3 seconds of taking damage from inferno is the maximal use of zap. This is extremely helpful as you know games can come down to one hit. If you were lucky enough to get the graveyard card, you have a huge advantage over the competitor. The trick with this deck is to set up the furnace and basically kill anything the line of path of the knight. The knight will be used as the tank while your graveyard bashes the tower. Pairing the poison with the graveyard will probably kill most units. The only unit that you will have some trouble against is the valkyrie. This deck is pretty straight forward. The only weakness is infernal towers and counter elite barbs when you summon your golem. 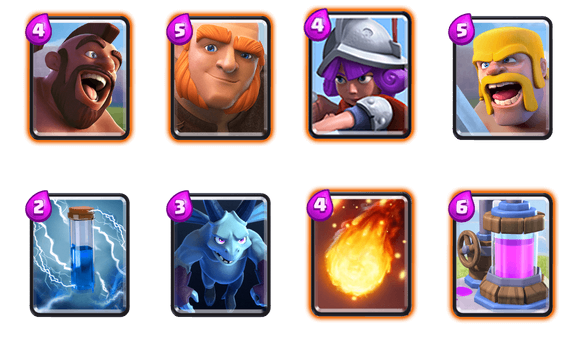 To counter the inferno tower, you would need to zap or use your minions to kill it before it does massive damage to your golem. If they counter elite barb, you need to try to pull them to the middle with goblin army. 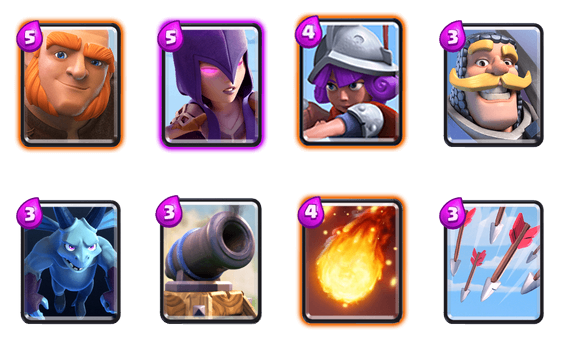 This deck will only work if your golem is a high enough level.